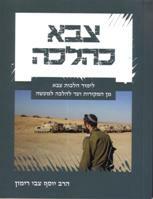 A new sefer by Rav Yosef Zvi Rimon, Ram in the Yeshiva and Rav of the new neighborhood of Alon Shevut, deals with halachic issues confronting the religious soldier on a daily basis, beginning with hilchot tefilla and Shabbat through to hilchot tzniut and behavior in an environment whose majority is not religious. 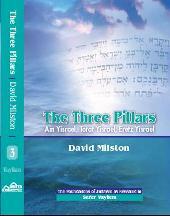 The sefer tracks the sources, through Rishonim and Achronim until modern poskim, in the unique derech of Rav Rimon. The language of the sefer is clear and understandable, and is suitable for the in-depth study of the halachot as well as "bottom line", halacha le'ma'aseh study. In the introduction to the sefer, Rosh Hayeshiva Harav Amital writes: "As you know, in recent years, I stopped visiting our talmidim in the army…The meeting between a Rav/Rosh Yeshiva and his talmidim in uniform, in the IDF, somewhere out there in a base or in the field, always aroused in me a special excitement. This is something that rabbis in previous generations did not merit. It is my hope that this book will succeed in helping to bridge the geographic gap between Rav and Talmid during their army service, and will also help those defending our country to learn the halachot which they need to know in an interesting and in-depth way." Two new books by Rav Yosef Tzvi Rimon about Shemitta will soon be published by the Yeshiva. The first will simply and clearly detail the topics of shemitta, tracking the sources through to halacha le'ma'aseh with accompanying charts and illustrations to clarify the various permitted and prohibited actions. The second sefer, which is being published together with the Ministry of Education, will serve as the official textbook for yeshiva high schools and ulpanot for the coming Shemitta year. 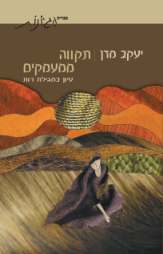 Why did Naomi return alone to the fields of Beit Lechem? How did Rut the Moabite join Am Yisrael and what was the nature of her conversion? Why did it take the marriage of Rut and Boaz to produce Israeli kingship? Why did they have to meet in a threshing floor in the middle of the night? The sefer offers surprising answers to these questions and more. The Foundations of Judaism as Revealed in Sefer Vayikra - this is the third in Rabbi Milston's refreshing series on the weekly Torah portion.